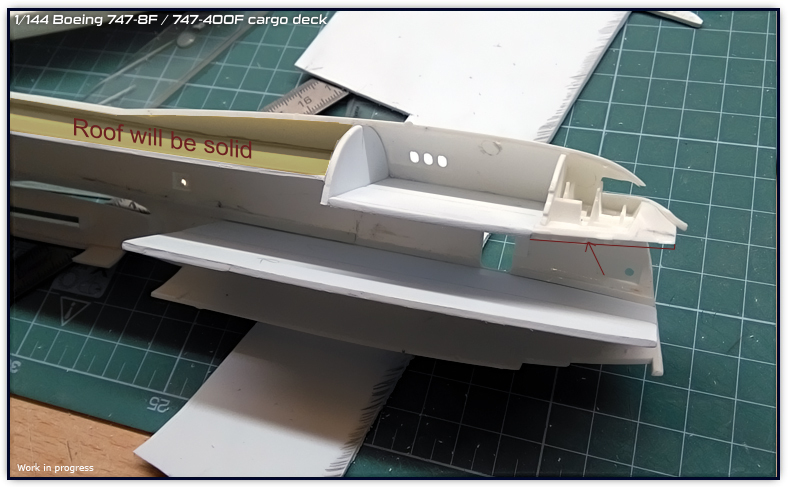 747-8F / 747-400F – Working with floors, ceilings and fuselage. 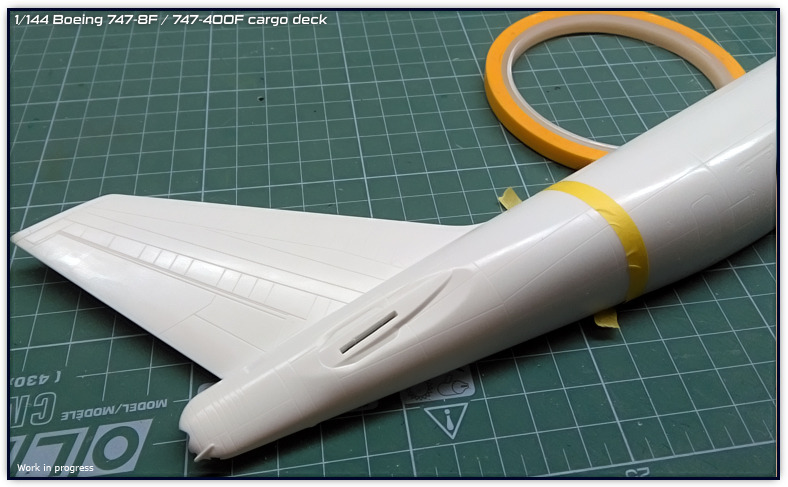 This weekend I have been able to work on the B747-8F/747-400F detail deck project and I have bad and good news. Bad news is that the deck is now useless, I had an issue while trying to remove the original paint that covered some details resulting in the multiple bending of the deck. To be honest, I was never happy since then every time I looked at the deck. This issue ocurred several weeks ago and is one of the reasons why I haven’t been able to advance as much as I liked with this project. The solution has been to start a new one, this is where I can say the good news; having learned a lot from the previous deck, I will remove the original system I had to hold the deck into place and instead, I will be using vertical walls, this will allow me more free space to work on the aft and fwd cargo bays and the same part that will hold the deck, will also be the part that delimitates the cargo bays. The first step I wanted to do prior working with the new deck was to cut out the tail section, this will save a lot of material when casting and reduce costs, plus ease things when adding the rear wall. For this step I used polyester thread, it broke several times so in such cases is better to use nylon threads. Cutting with thread, the thickness of the cut is minimal. I cut approximately 2 mm from the vertical panel line, I will make sure to precise everything in the instructions. 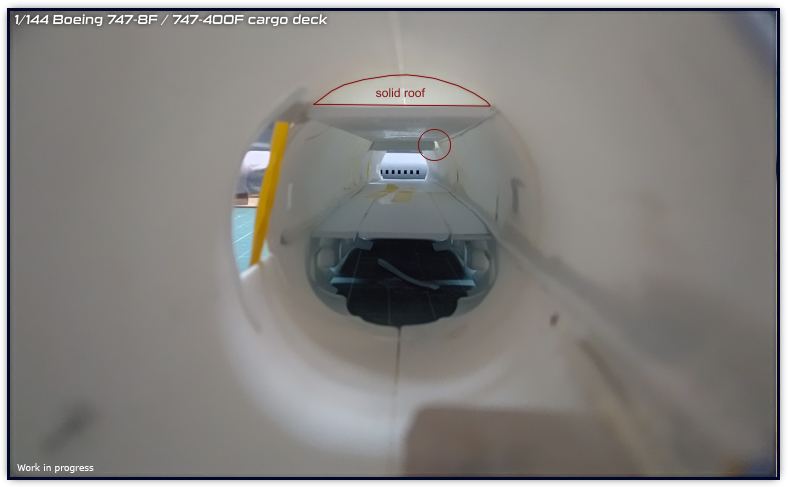 Photo above shows the first portion of the deck. Another thing that I learned was that the deck is way too long to make in one piece. It would no be an issue for casting but it would be for placing. The final deck will consist of three portions. The roof will be solid, and the decision for this is purely for ease of placement. Many things have to be done having in mind that later, this will have to be build and parts must join perfectly, having a solid ceiling will ease the building process. The floor of the cockpit (marked with the brown arrow) will have to be modified to make that area solid. One is the sidewall marked in light brown. This is the area that is actually seen from outside, thus the whole wall will have details and decal markings according to the real 1/1 aircraft. This area is very important and I am aware that detailing must be done as much as possible. The second thing to notice is the blue section. You can see the vertical wall that I made in order for the deck to rest on it. 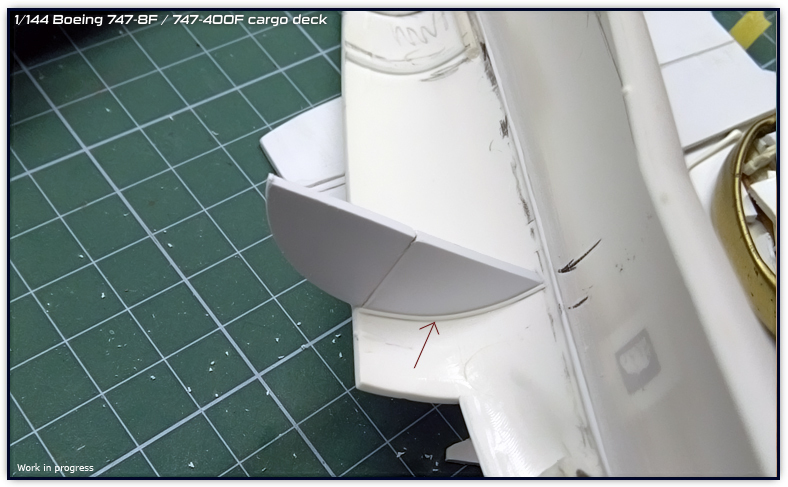 In the previous version, the deck was going to rest on a solid part between the two rails just behind the nose gear. 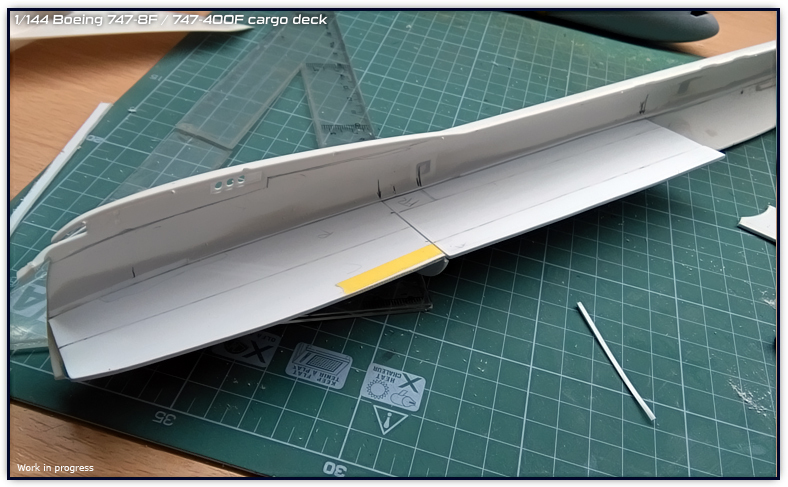 These rails as well as the solid block would have given me a hard time when detailing or even opening the cargo door, thus making the forward and rear walls (note that only the rear is made at the moment) I will have plenty of space for detailing the FWD cargo bay. The vertical wall will also have detail where the arrow indicates. This will be the wall within the cargo bay, so the same part that helps keep the deck in place, will also be a part of the FWD bay. As I was mentioning earlier, all of the parts must join as best as possible, hence I added a thin line that will indicate precisely where the vertical wall for the cargo bay will go. Here it shows the work so far on the deck. 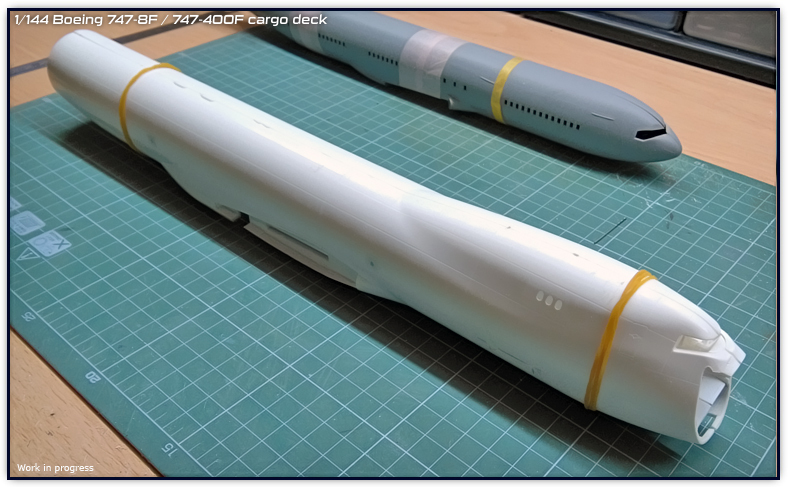 Note that the middle section still does not fit perfectly with the first section, but that has already been corrected as I also needed to do some adjustments for both fuselage halves to fit together. It may seem a lot of work and a waste of time after the first deck work. However, by doing this again, I somehow got more energies and hope for this project, because I wasn’t 100% happy after the issues appeared with the first deck. 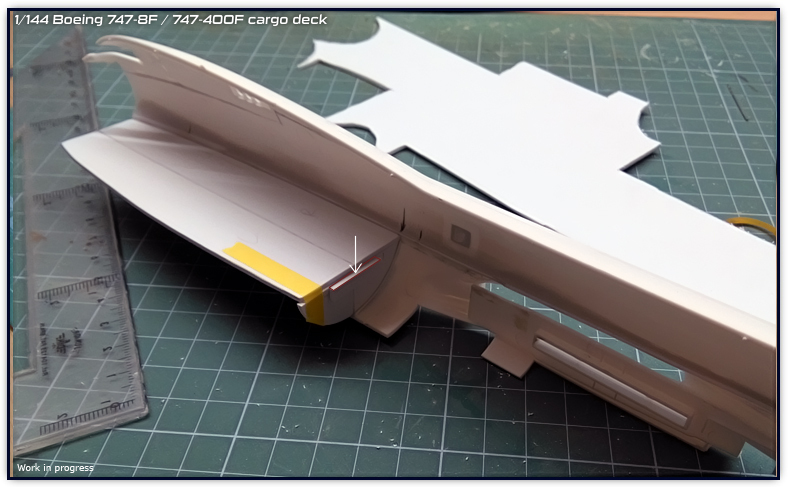 I am still not sure what I will do with the several rails or tracks on the deck, the first version I used 0,5mm thickness parts, but I may go a bit thinner this time to keep these in scale. The FWD bay wall has an extra part on its rear which is actually the part that holds the middle section of the deck. This is a view from the tail side. Note the gap on the ceiling that I have to fix. I do not think it will be seen from the Side Cargo door nor the nose door, however, since it is a structural point, it must be fixed. This is how the project is so far. Next weekend I will start the LEAP-1A engines, thus there won’t be more updates on this cargo bird until a couple weeks. I may work with it during the week depending on the work with the items I need to make, but this has been a very important update for me, even if I haven’t done anything new, I have been able to redirect the project and most important of all; feel happy with it again which is really needed for working in such long tedious projects. 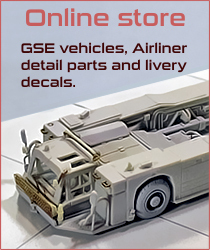 Livery decals will be available on February 15th, things are getting finished and I am about to start the first prints. There is still some work to do on the A350 instructions. I am also working on the white decals, will be able to make them more opaque after adjusting some settings. I want to apologize for the delays that have been produced during this long time. Sometimes things aren’t as easy as click a button, adjustments have to be done and tests had to be done as well. Next weekend I expect to start the LEAP-1A engines and hope to update the blog. 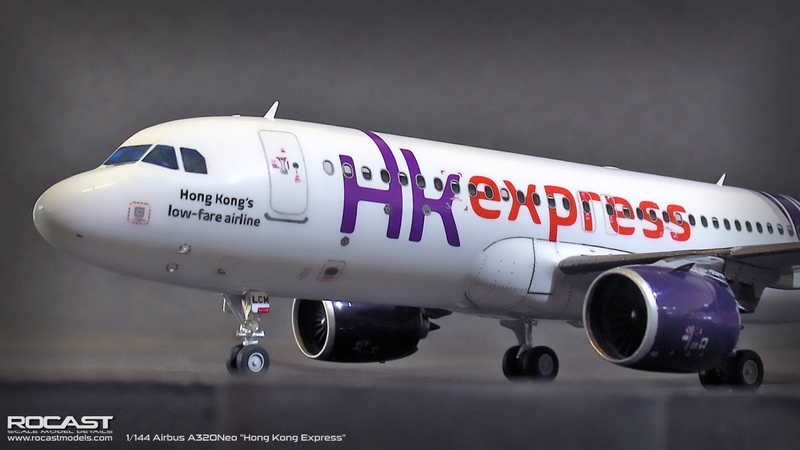 Finally I have been able to finish what was the decisive decal test, the A320Neo Hong Kong Express. I can’t say it is a project I enjoyed because I was feeling that everything was being delayed. This model should have been finished at least a couple weeks ago, but I had some issues with the approach I took to place the decals and I had to re make the model. It is not perfect, I think the Zvezda kit does not only have the windows too big, but they are also too high, it was a mistake to follow their height but overall I am satisfied with the decals and this was a final test for them. I have to reduce a little bit the nose door registration, the green line decal inside the engines has also been modified afterwards to have a more saturated color. 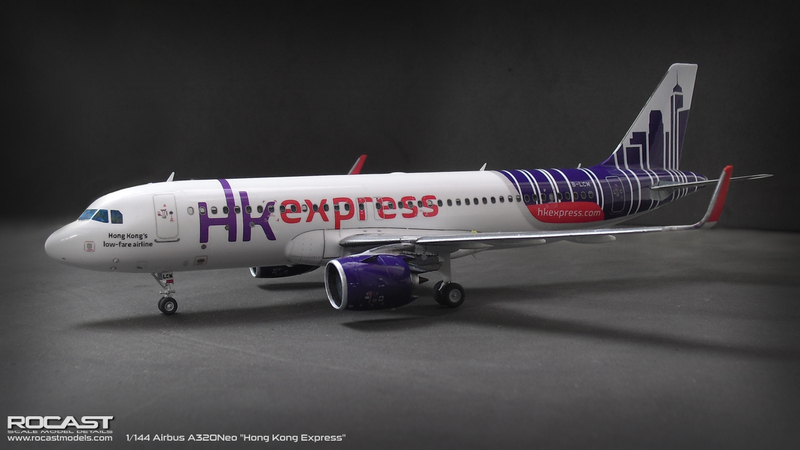 Since this was supposed to be a quick out of box build, I did not do a mixture for the purple color, I used the best match I had on my shelf but the “Hk” decal is actually a closer match to the real aircraft rather than the paint I used for the tail and engines. I can see that the decal sets will be bigger than an A4 sheet since I will be including enough decals for the white underneath the needed colors. 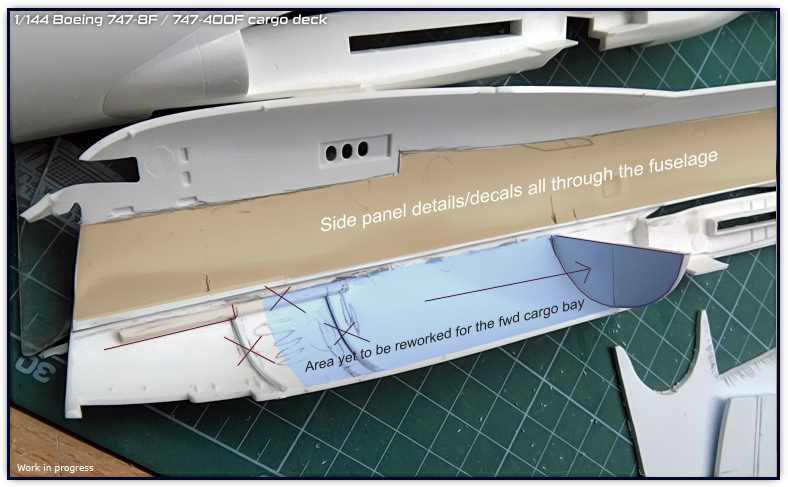 The instructions also have to be redesigned in order to point where white underlaying goes and other tips for more complex liveries as well as a black/white decal layout to see everything in detail. Since this film carrier is very thin, it is not troublesome to use white layers first for some specific areas because the decal dries and sticks to the surface very easily and rather quickly. So far this kind of film is the thinnest one I ever tried and it practically does not show the edge around the cut, at the same time, the film is very resistant. As always with all decals, placing the decal must be done with still the backing paper holding it and on the airplane surface just sliding the decal to place to avoid the decal to fold itself. 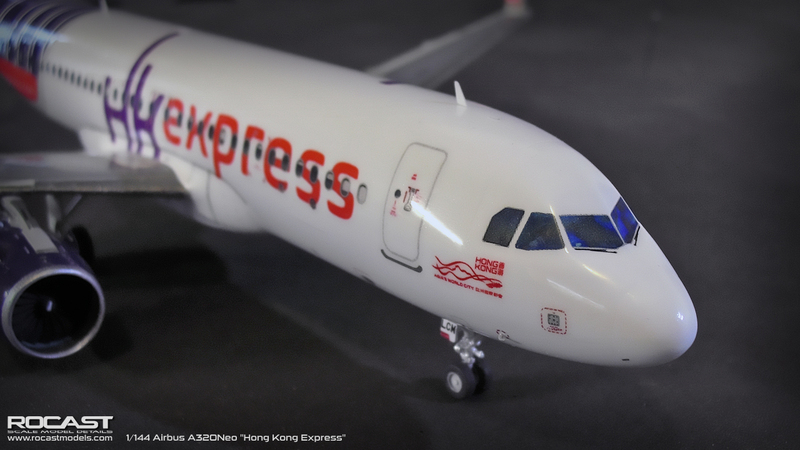 As you can see from the photos, this model also features my previously made PW Neo engines which include photo realistic pylon decals. After the completion of this model I can finally start working on the LEAP-1A engine. Next step will be to finally resume the projects I have started and start the LEAP-1A engines. I will also be making more units of the out stock items so I hope to set them available in due time. I expect to have the livery decals available a month from now as I have to do these minor modifications to the instructions as well as print everything. Hopefully I can upload some progress on the current projects on next week! 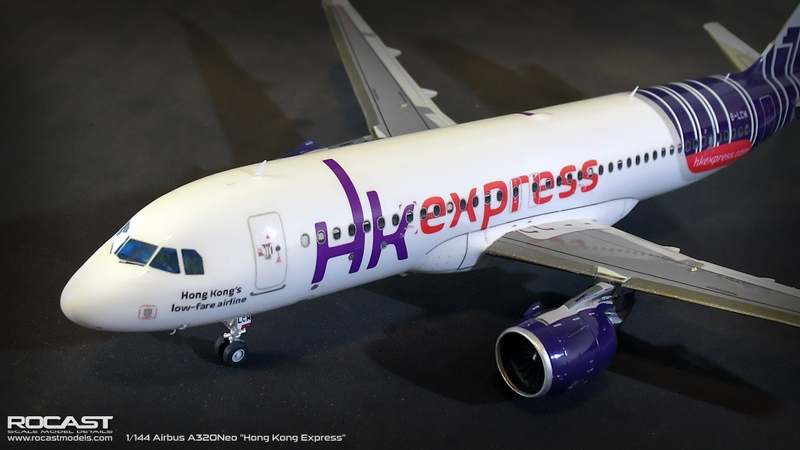 I have been and still working on the Hong Kong Express A320Neo which I hope to have finished during the next weekend. 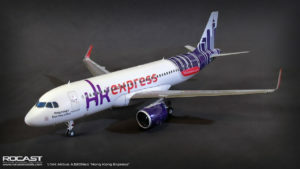 I had to start over because I did not like how the project was going, my first approach was wrong and I am not sure why I did not do as I did with the China Airlines A350. 1- I placed the windows with normal paper to check where the cheatline goes, you can also do this by simply adding the windows decal first. 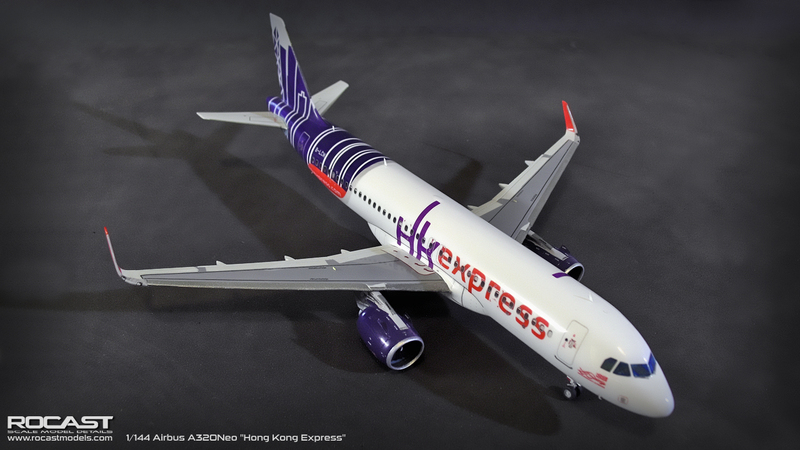 2- I added the cheatline decal and hkexpress.com logos. 3- I clearcoated (and this is very important) so that I could protect the decal from the masking tape and I masked all around the cheatline and logo. 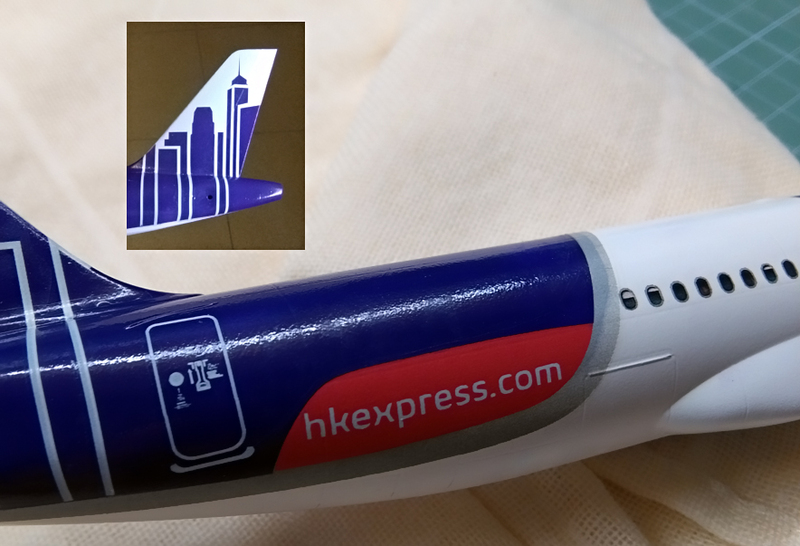 4- Once the masking was done, I painted the tail section. While adding the cheatlines, it is very important to keep a good symmetry for both sides, a good reference can be the panel lines. Currently the model is 85% decaled and so far so good, did not have any issues with the decals which is a good sign, I did a quite extensive test on this model and I am very happy with this decal paper, this was a really important test for me. I hope to have this finished by the end of the week as I am really excited to continue with the current projects as well as start the LEAP engines. 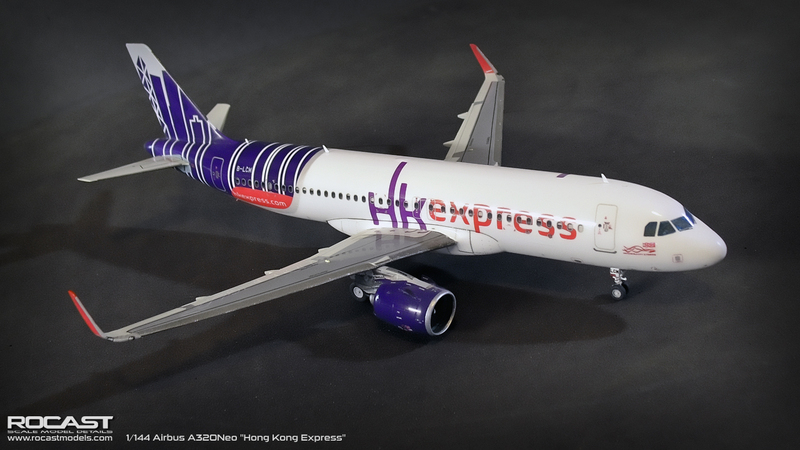 Very busy days but I will get back on track again and prepare more stock units once this A320Neo is completed. This is the first entry of the year and I am hoping that everyone has started this 2019 successfully and with positivity. 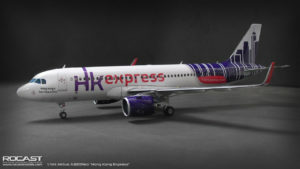 I find myself currently working on an A320 which ended up being a Neo variant with the Hong Kong Express livery colors. I was designing this livery and at the same time thinking that it would be a challenge because of its design with white colors and that was something that I needed to fully test. 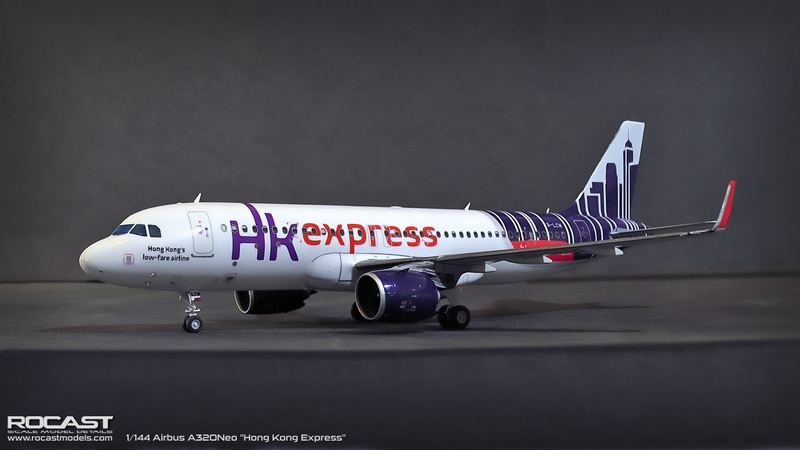 I must say that I am adjusting the A350 decals (as well as fine tuning some aspects of the A320 decals after the experience with the HK livery). The approach I took with this livery was to have white decals instead of purple decals that would wrap the end of the fuselage. 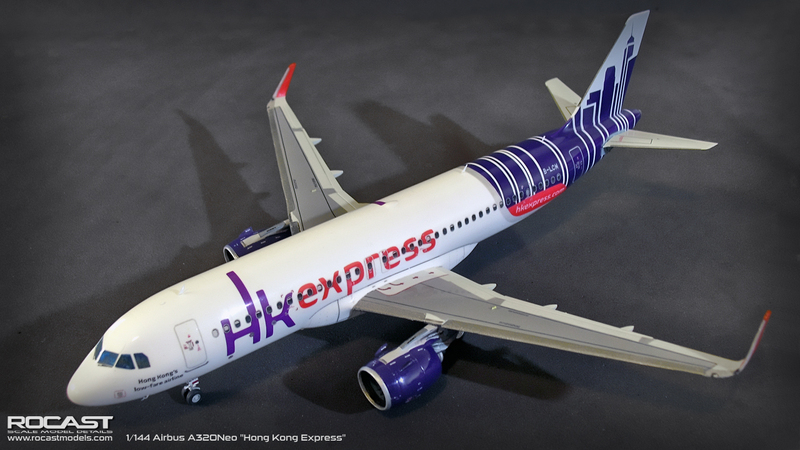 This decision was taken after seeing that the purple decal would be just too big and difficult to place and also because the colors of the engines must match the color of the fuselage. 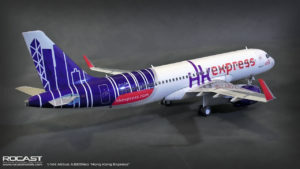 So I saw this livery “in reverse” making the background of the tail instead of the purple design. Now, I was able to fully test the white opacity and also test a little bit further the decals positioning. I must say that the film is very thin but it is surprisingly resistant, the edges are practically invisible. I hope to post a video soon of some of the process I did while placing the decals. I would like to write my opinion about white decals in general. I won’t state this at 100% because I haven’t tested white decals from model kit manufacturers but, I do believe that it is near impossible to have white (and I mean, pure white) on a dark surface in one go, (with decal papers) you can though see it white when the white decal isn’t big enough to tell the difference. 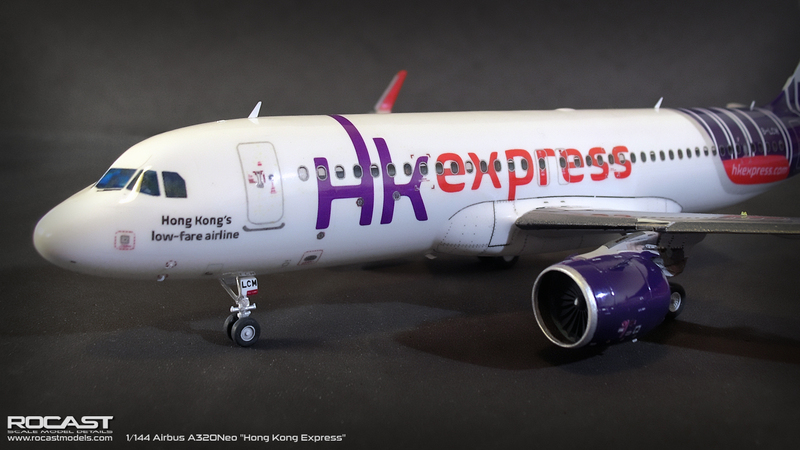 I have to clarify that the small white decal on a dark surface looks indeed pure white, but when decals are big such as the background of the Hong Kong Express tail, you can start to see the difference when comparing to the white of the fuselage. This makes sense, if we take for example that you want to paint a dark surface with a white spray can, the normal procedure would be to apply thin layers until getting the desired finish. Decals are thin regardless of the ink used for the white, so we are simulating the way we would paint a surface. My approach for this Hong Kong livery was to use 3 layers of white decal for the tail section, this allowed for a whiter surface that gives the desired result. The film I am using is only 7 micron, so having 3 layers of decal on top of each other is no issue at all for the specific properties of this film. You can always opt to use two white layers if the result is already satisfying for you. I am very cautios about which decal goes where and more importantly, which color is beneath which decal. 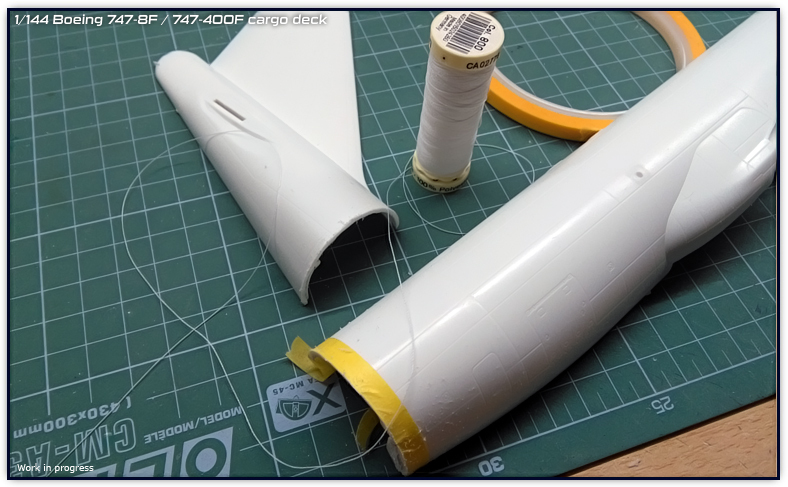 For bright colors going on dark surfaces such as the now old yellow crane of Lufthansa onto the blue tail, I will be including two white underlaying decals for the bright color to stand out. Of course it is optional how many decals you want to use, but from my point of view I must give as many possibilities as I can. Apologies for the finish of the surface, it has a light clear coat for decals placement, final result will be smoother. I will also be giving specific tips or instructions if a livery has a cheatline that divides two or more colors. For example, I should have done a method that I did not do for this livery but that I did in my previous A350 China Airlines build. 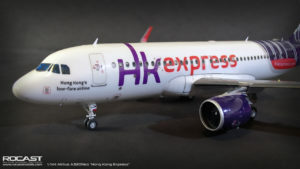 This consists in; first, painting the whole fuselage white, then applying the grey cheatline and once dry, apply a gentle gloss coat over it to protect it. 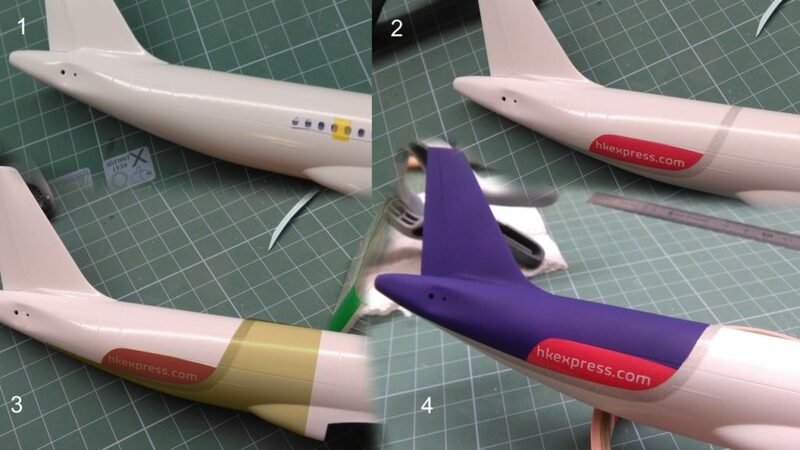 Once protected, mask tape the outline of the cheatline and proceed to paint the purple color. This is specially needed when a cheatline goes across a certain section of the fuselage and we don’t know exactly where to divide the colors. Besides the specific tips, I also include a black colored decal sheet printed on a regular paper in order for you to easily see which white decal is what. I will keep on working with this project and post the photos of the finished model very soon.